In the May issue of GQ Magazine, they insert a feature under their ‘Details: Inside Information’ section on the new voices of menswear in South Africa (SA). 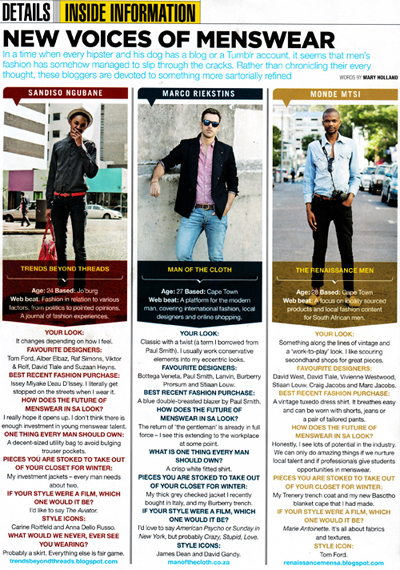 It’s basically a shortlist of who in SA is catering to men’s fashion information needs solely via electronic means, i.e. blogging. The three blogs identified are: Trends Beyond Threads; Man Of The Cloth & The Renaissance Men. Trends Beyond Threads: A blog by Sandiso Ngubane, from gritty Joburg, which focuses on fashion in relation to various factors, from politics to pointed opinions. A journal of fashion experiences through his eyes and mind. Man Of The Cloth: A long-time favourite of mine from Cape Town blogger, Marco Riekstins, Man of the Cloth acts a platform for the modern man, covering international fashion, local designers and online shopping. 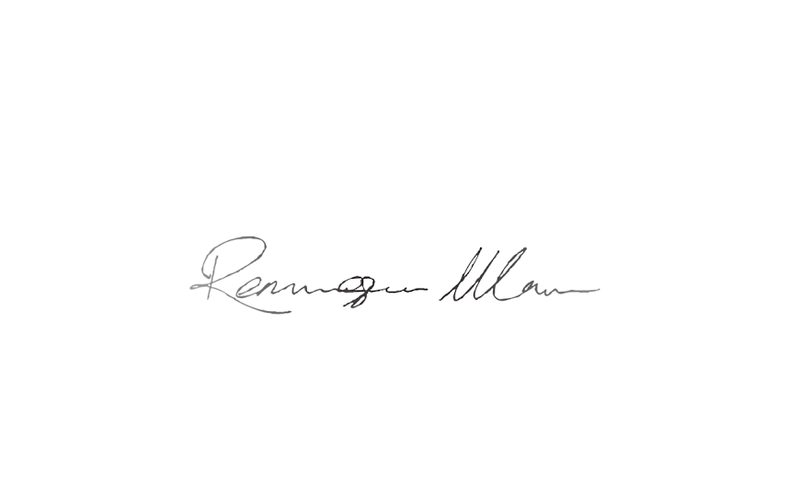 The Renaissance Men: By me, bringing you a blog focused on locally sourced products and local fashion content for South African men. So there you go, three different bloggers and their blogs, three different point-of-views, three different approaches to providing SA men with everything they need to know, wear and think about. Now no man has the right to complain about not having enough options.